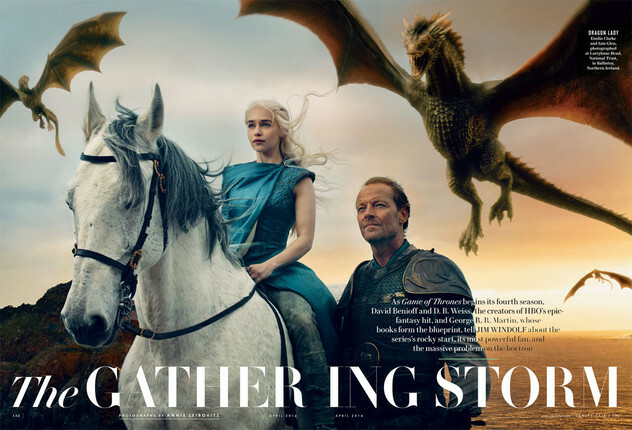 So a slew of “Game of Thrones” cast members are gracing the newest issue of Vanity Fair and even more are to be found within its pages, along with the intel that yes, President Obama does get to view episodes earlier than the rest of us. Really dude? Not fair. We’re sure there are plenty more pictures (because we know Hodor and Brienne were on set along with the Stark children and the Hound) but we guess we’ll just have to wait for those. 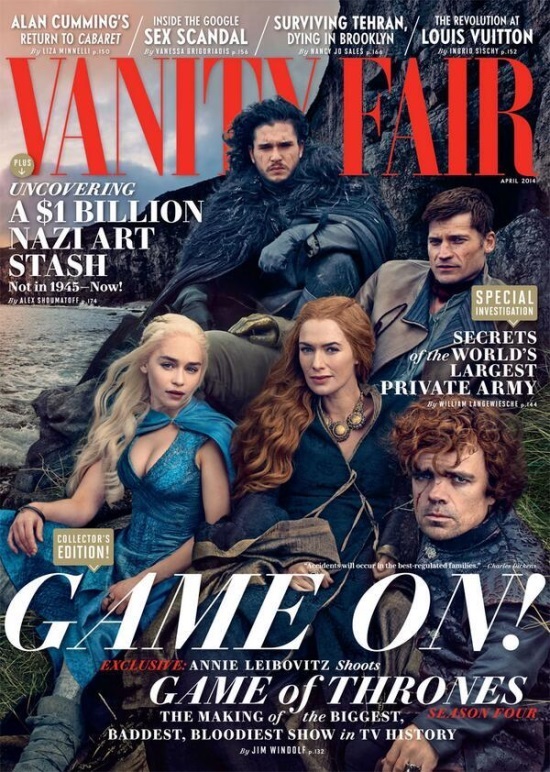 For now however you can enjoy the super Photoshopped Vanity Fair cover below and see who the cast thinks should sit on the Iron Throne. Sadly, no one is Team Benjen Stark, but believe us, we have not seen the last of him. That guy has to be Jon Snow’s mother. Someone get Jon Snow a look other than this one please! Also, what Instagram filter did Vanity Fair use on this cover because we’d like to know. Anything shot by Annie Leibovitz is incredible. They couldn’t have picked a more perfect photographer for this shoot. Though Steven Meisel would’ve been a great choice too.